Mignarda CDs are also available on iTunes, Amazon, and your favorite download site. Download single tracks or full albums right here, and get your choice of high-quality formats (MP3, FLAC, and more), and booklets/liner notes. Gregorian Chant is a rare and precious link to our remote past, but as the embodiment of Christian liturgical practice, it is also a living, breathing form of worship still in use today. The vast repertory of chant both describes the outline and fills in the minute details of the cycle of the liturgical year. Sacred chant heard in a sacred space has a special transporting quality and has moved hearts, minds and souls for the past few millennia. 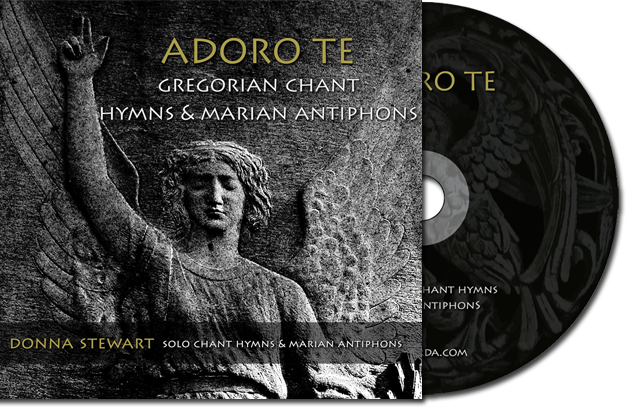 The chant hymns and antiphons selected for this project have special meaning, and we are very pleased to offer this beautiful, contemplative recording to the many listeners who have requested it. For us, liturgical chant has many facets. We met in a schola singing this music together, and having spent decades singing chant and sacred renaissance polyphony in its liturgical context, we embrace both the spiritual and the functional aspects of the music. However, a working familiarity with chant has also enriched our professional artistry immeasurably, since other genres of early music were liberally laced with quotes from sacred chants, quotes that would have been recognized and appreciated by contemporary musicians and listeners. For chant more than most music, the sound of the space is part of the music. Recorded live in the warmly resonant Shrine Church of St. Stanislaus in Cleveland, Ohio, we have captured the essence of the music’s devotional character with directness, clarity and a sense of musical purpose informed by two decades of singing chant in its liturgical context. We are delighted to have the opportunity to share the transformative power of experiencing these ancient hymns and antiphons in one of our favorite sacred spaces. For those who have expressed an interest in learning this music, we will be publishing a booklet with all the scores newly set in chant notation with texts, translations and accompanying descriptive notes. Stay tuned for details and online ordering. $15 + 1st class international shipping, direct from the artists. "The production is equally excellent, from the very natural sounding engineering to the notes on the music and the included song texts, along with translations. Thank you for your commitment to such high musical and production standards! "